LDC’s budding dance luminaries beam on the Queen’s Hall stage in the closing formation ofHeather Henderson-Gordon’s choreography, Stars, in the 2016 dance season, Stars. Photo courtesy MSA Studios. November 22, 2018 – Port of Spain, Trinidad and Tobago… Heather Henderson-Gordon’s children’s dance school, La Danse Caraibe (LDC), will open the curtain to a pastiche of morally compelling dance compositions in its production, PatchWork. Dance enthusiasts and fans will be treated to a diverse medley of ballet, modern contemporary, tap, folk, limbo and Hip Hop choreography by Henderson-Gordon, Arlene Frank-Collis, Gregor Breedy,Makeba Gabriel, Takyha Springer, Marielle Dos Santos, Kelsey Des Vignes,Michael Mortley and Curt Alexander. Directed by Henderson-Gordon, the show runs on Saturday December 1, 2018 at 6:00 p.m. and Sunday December 2, 2018 at 5:00 p.m. at Queen’s Hall. The LDC stars are captivating in Heather Henderson-Gordon’s modern contemporary piece,Colours of the Earth, for the 2016 production, Stars. Photo courtesy MSA Studios. Makeba Gabriel is known for her show-stopping limbo choreography as seen in Akua, which was presented in 2016 for Stars. Photo courtesy MSA Studios. As thematic motifs in the PatchWork, each dance piece will represent an interpretation of virtues which are lacking in our society. LDC will call its audiences to introspection as it intricately weaves each patch inspiring reflection on humility, patience, respect, honesty, caring, compassion, sympathy, empathy, love, altruism, diligence, productivity and tolerance. In its upcoming dance season, LDC aims to make a connection in the minds of young people through its choreography, music and expression establishing a sound ethical foundation to guide the moral compass of our nation’s youth. Highlights of the show will include a performance by some of the school’s alumni in Frank-Collis’s choreographic piece, Having Faith, and a guest performance by Springer’s Super Saturdays Hip Hop crew who recently competed in the 2018 World Hip Hop Dance Championship in Phoenix, Arizona. Best Village’s multiple-award winning folk choreographer, Gregor Breedy, lends his signature folk dynamism to the 2016 LDC production, Stars, with the stirring work, Processional Rotation. Photo courtesy MSA Studios. LDC opened its doors in September 1986 to offer dance training to children from age three (3) in the ballet technique of the Royal Academy of Dance (RAD) and the modern techniques of Martha Graham and Lester Horton. The small school was founded by renowned choreographer and dancer, Henderson-Gordon, after her return home from scholarships with the distinguished dance and performing arts schools, the Martha Graham School,The Ailey School and The Juilliard School. 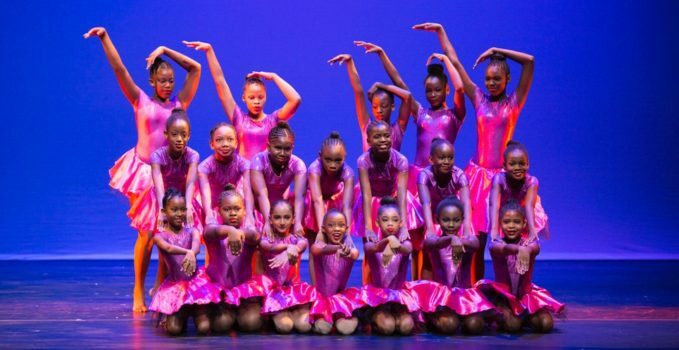 Armed with a deep passion to contribute to Trinidad and Tobago’s cultural landscape, LDC was born out of Henderson-Gordon’s vision to inspire young dancers to pursue their passion while instilling the ethos of discipline, dedication and perseverance. Developing well-rounded dancers, the school celebrates diversity embracing all body types and abilities as it encourages its students to train in a minimum of three (3) dance genres including RAD ballet and Imperial Society of Teachers of Dancing’s (ISTD’s) modern contemporary and tap techniques. In 1991, LDC became the first school in Port of Spain to offer formal training in Hip Hop dancing. 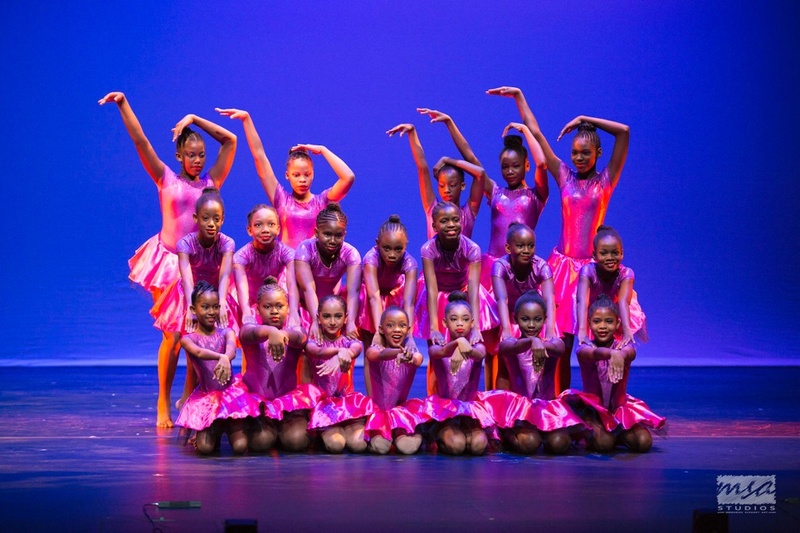 Subsequently, in 2006, LDC’s founder complimented its classical and urban dance instruction with training in the indigenous dance forms of folk and limbo. In the 2016 LDC presentation, Stars, Heather Henderson-Gordon takes a colourful and unconventional approach in this ballet choreography entitled Fire In Yah Wire. Photo courtesy MSA Studios. Guest performers in the 2016 LDC presentation, Stars, defy gravity in Hip Hop choreography byMatthew ‘UGK_Matt’ McClean. Photo courtesy MSA Studios. Part of the proceeds from PatchWork will benefit LDC’s scholarship programme that offers dance tuition to youth from marginalised communities. The production will also raise funds to facilitate renovations, upgrades and on-going maintenance to the LDC dance studio, which is an affordable and easily accessible performance and rehearsal space that is actively utilised by members of our nation’s performing arts communities. Tickets cost $130 and are available at the Queen’s Hall box office and from the school. For more information, join the PatchWork Facebook (FB) event page atbit.ly/LDC2018PatchWork and connect with LDC on FB, Twitter and Instagram @LaDanseCaraibe or call (868) 620-9677. Renowned dance teacher and choreographer, Heather Henderson-Gordon, demonstrates for her young dancers in studio as they prepare for LDC’s 2018 dance season, PatchWork. Photo courtesyElise Romany. Under the guidance of dance teacher and choreographer, Arlene Frank-Collis, LDC’s senior modern contemporary dancers train diligently in preparation to shine in the 2018 dance production,PatchWork. Photo courtesy Elise Romany. Under the guidance of dance teacher and choreographer, Arlene Frank-Collis, LDC’s senior modern contemporary dancers train diligently in preparation to shine in the 2018 dance production, PatchWork. Photo courtesy Elise Romany. WHEN: Saturday December 1, 2018 at 6:00 p.m.
Sunday December 2, 2018 at 5:00 p.m.